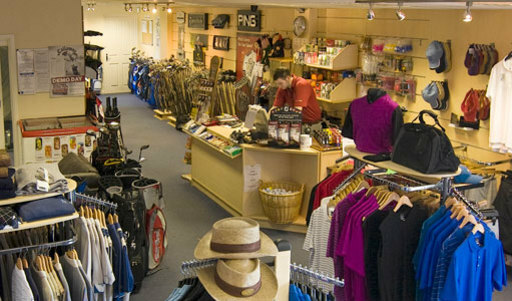 Our Pro-Shop is without doubt one of the most comprehensively stocked facilities in the region, for men, ladies and juniors. 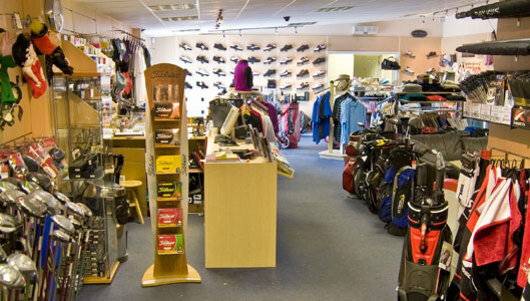 We've invested in a state of the art custom fitting centre and are an approved fitting centre for most of the major brands and also stock a wide variety of golf clothing and shoes. Our Head Professional Geraint Dixon and his highly experienced team are on hand to make sure that any purchase you make is the right one for you. We fit the equipment to your personal needs & ability - so if you're planning to change your equipment, please speak to us and we'll make sure that you leave with what you need, to help you better enjoy your golf. Lessons are available with our team of highly qualified Professionals seven days a week; so whether you are a beginner or an established player, looking to fine tune a particular part of your game, we've got the solution for you. Lessons can either be taken on a one-to-one basis, or, for those starting off or wanting to do something with friends & family, small group sessions can easily be accommodated to ease you in more gently. We make good use of video equipment, to help you see what we're working on and also have one of the best green grass short game areas in the area so whether it be putting, chipping or bunkers we can help you improve. Our 24 bay driving range and professional shop are open from 8 am until 9 pm Monday to Friday and from 7 am until 8 pm at Weekends. Non members are welcome. If you would like to know more about Bedfordshire Golf Club, to visit us or become a member, or to enquire about our meeting and banqueting facilities, simply call us on 01234 822555 or click here to complete our short enquiry form.